(CA) Jim Lee, Scott Williams. 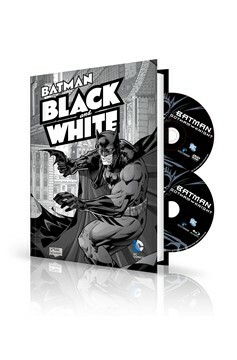 Presented in stark black-and-white tones, this collection of the Dark Knight Detective's hardboiled adventures features stories and art by a stellar lineup of creators, including Neil Gaiman, Joe Kubert, Frank Miller, Jim Lee and more. 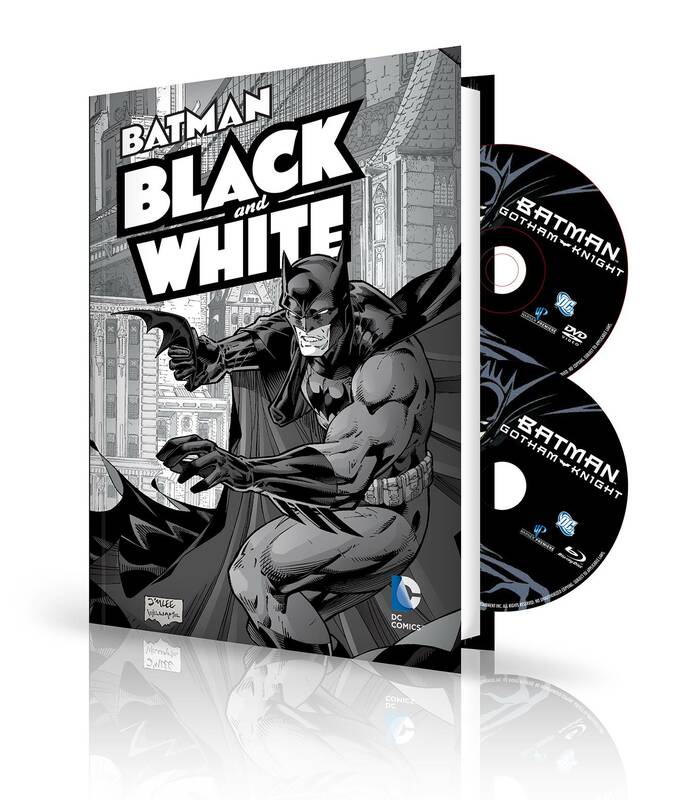 This book comes with the BATMAN: GOTHAM KNIGHT animated movie on Blu-Ray and DVD discs, pairing acclaimed screenwriters with revered animation filmmakers on six spellbinding chapters! Read the book, watch the movie!.